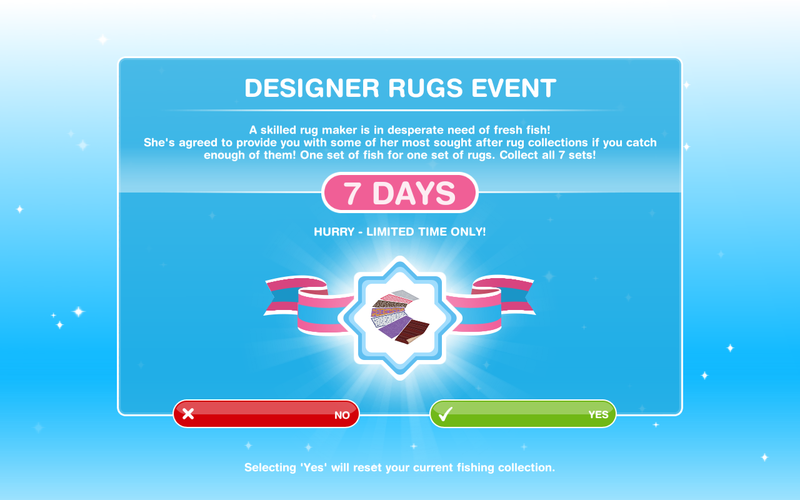 The designer rugs event is back for 7 days! 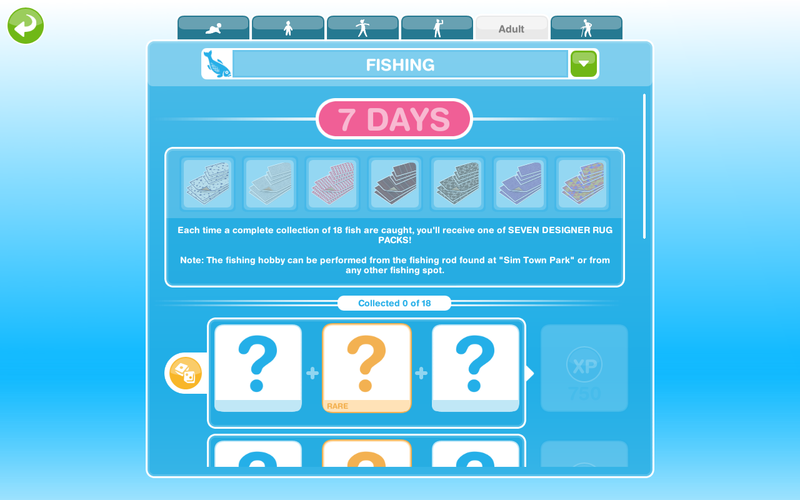 To complete this event you need to complete the fishing hobby 7 times within the 7 days to unlock all the rugs- quite a challenge this one if you aren’t already on level 8. 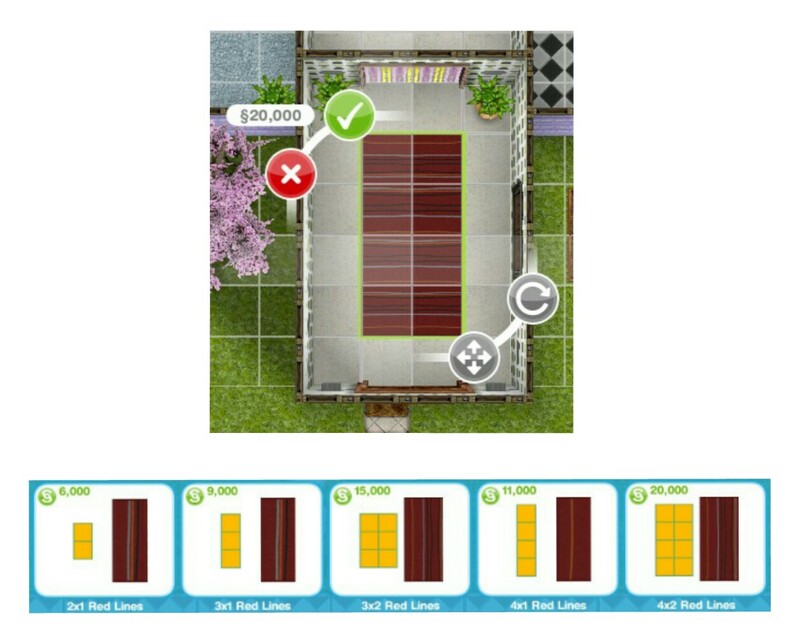 You get a new rug at random each time you complete it, once you unlock a rug you get to keep it even if you don’t find them all. If you completed this event before you will not get it again this time. If you got some of the rugs last time, you will only need to find the ones you have left to unlock this time, for example, if you unlocked 5 rugs last time you will have to complete the fishing hobby 2 more times this time to complete this event. You need to firstly accept this quest, it will remove the fish you have already found from the collection so you don’t get a head start. 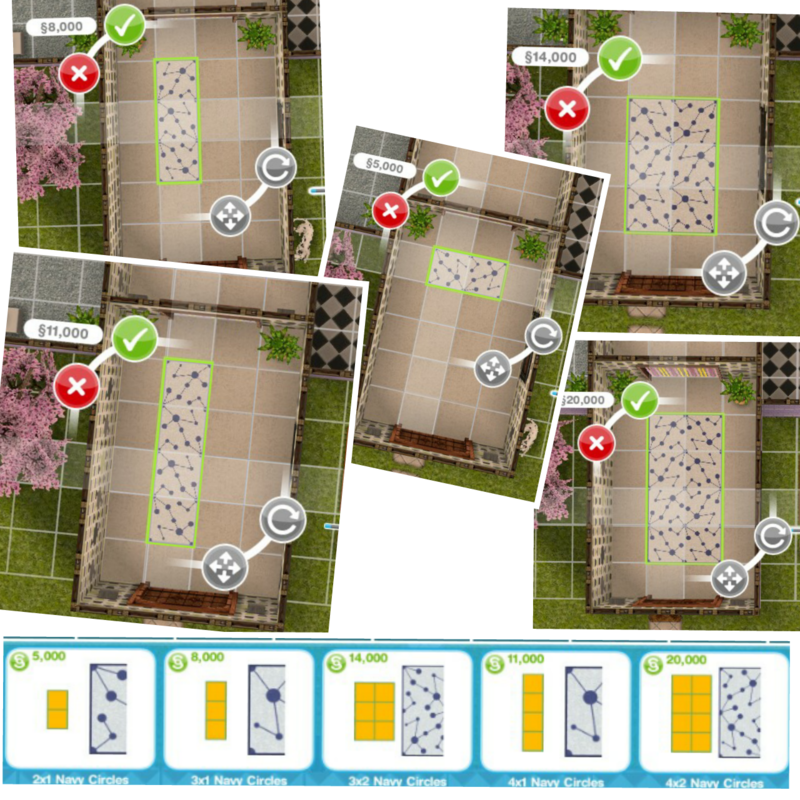 -have more than one sim working on it if you can! You can send a sim to a neighbours park and if you have build the beach or campgrounds you can also fish there! I have been trying for two days straight now and I cant get the second two fish of the first row- I get the others but just not these- is this a glitch? I’ve needed the final fish in the first row for over a day now too! There must be a glitch on this because it is just ridiculous! Currently I’ve got 2 Sims fishing: 1 at my park & another at a neighbor’s park. I’ve built the campground & completed the Survivalist’s quest for the upcoming Outdoor event, as I’ve never completed it before. I built the suspension bridge so I could get a 3rd Sim fishing at the campground (my beach isn’t built yet) but it won’t let me fish there without clearing the trash. I haven’t done the Storytelling hobby yet but I figure I could get the trash cleaned up & fish…as long as I don’t click on the green unlock button. Am I correct? Or will I have to complete the Storytelling hobby before I can fish at the campground? I think you’re correct. I have 1 Sim left clearing the trash & every time I’ve clicked on the fishing pier, it says something about completing the Storytelling hobby first. Hey, thanks for an awesome blog, it helped me a lot! Sometimes they are kind and increase the level up % when they become hobby events, they usually do this with the woodworking hobby, it will return to normal when the event is over. 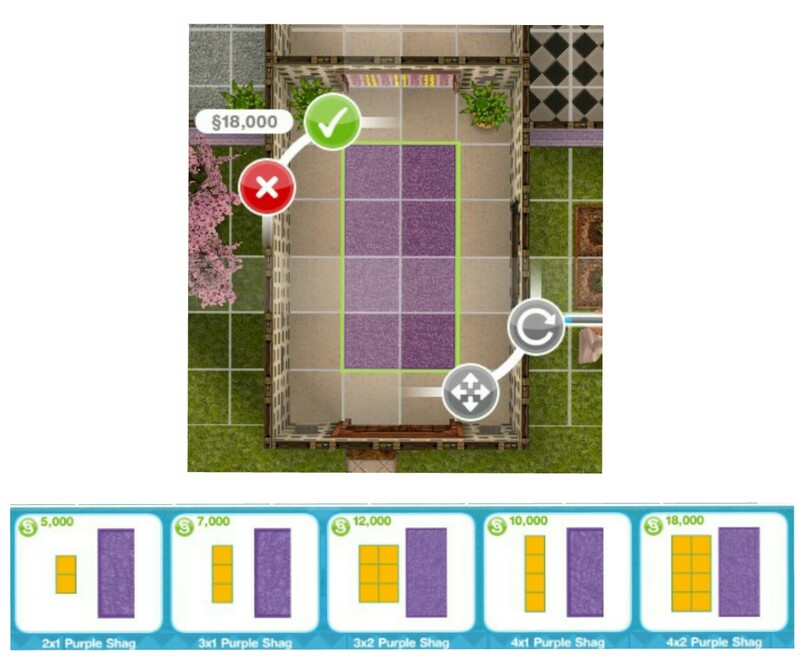 This has been awful I have been playing with 4 Sims on level 8 using the 10 minute option and there is 1 fish that I just cannot find. 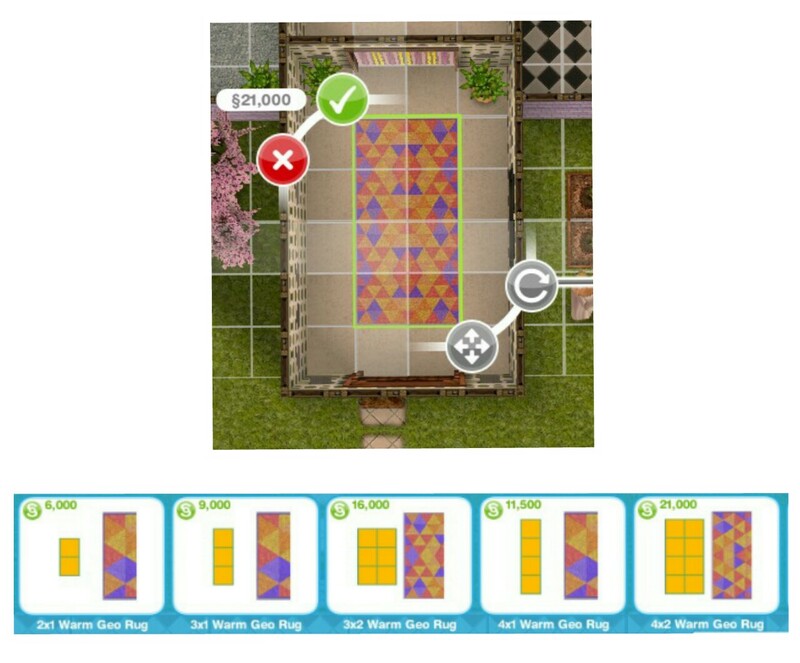 So far I only have 2 rugs and I had to spend LP to get a lucky spin to win them. I have never been so frustrated with a hobby before!!!!! Is it the last one in the first row by any chance? I just cannot find that one! I’ve noticed the same thing in my game! I will get every fish *except* for the last one; the last one I need is one of the 1st row fish. 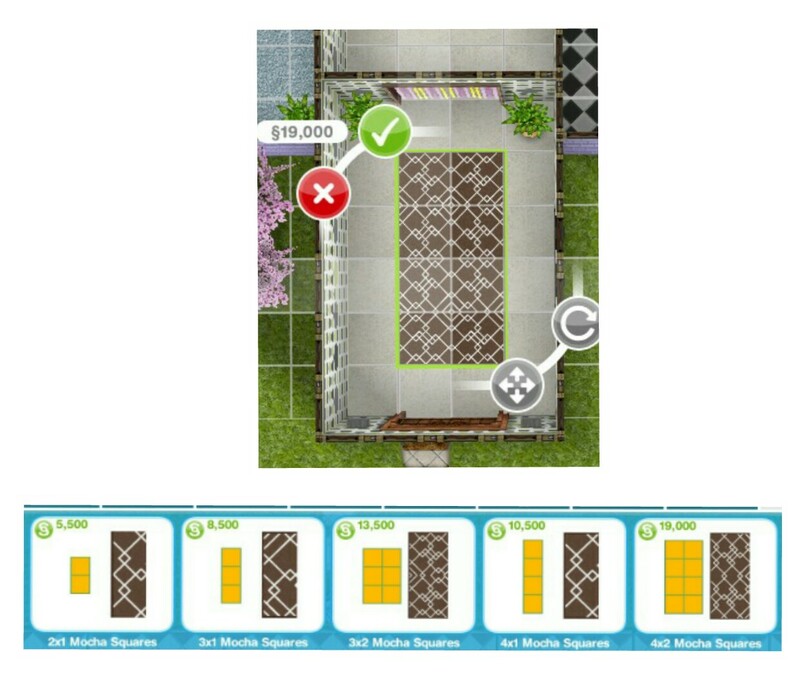 🙄😒 I’ve been making my other Sims do hobbies like crazy to get LPs for Lucky Spins. This hobby event is the 1st time I’ve ever used the Lucky Spin (that I remember anyway)!! Hi. Sorry, this is unrelated to this post but I didn’t know how else to message you. I was wondering if you know about the updates/events before hand, and if so, do you know if they will ever have the laundry event, and homestead and urban furniture events again? I wasn’t playing the game when they were originally released so I missed out, but I really want those items. 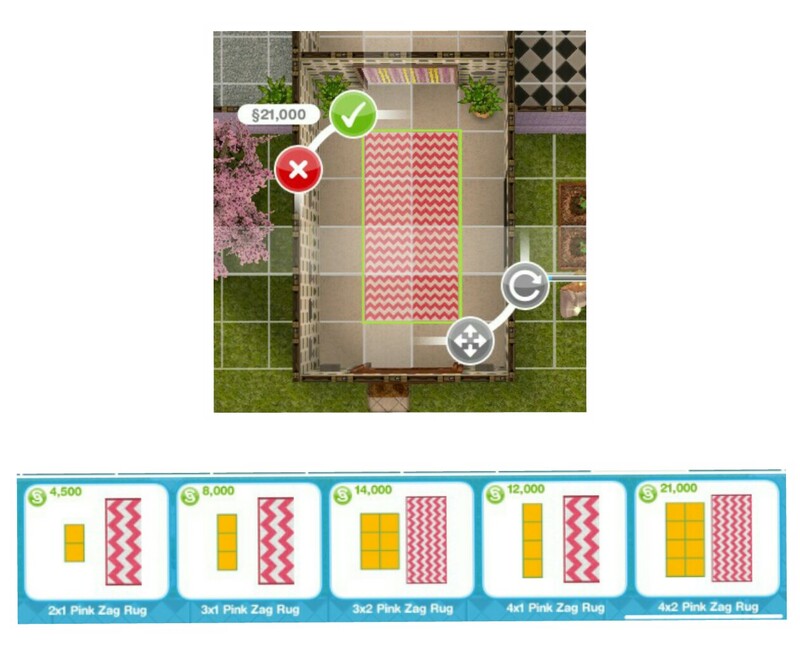 Do you happen to know of any houses that may have them that I can build, especially the laundry items? 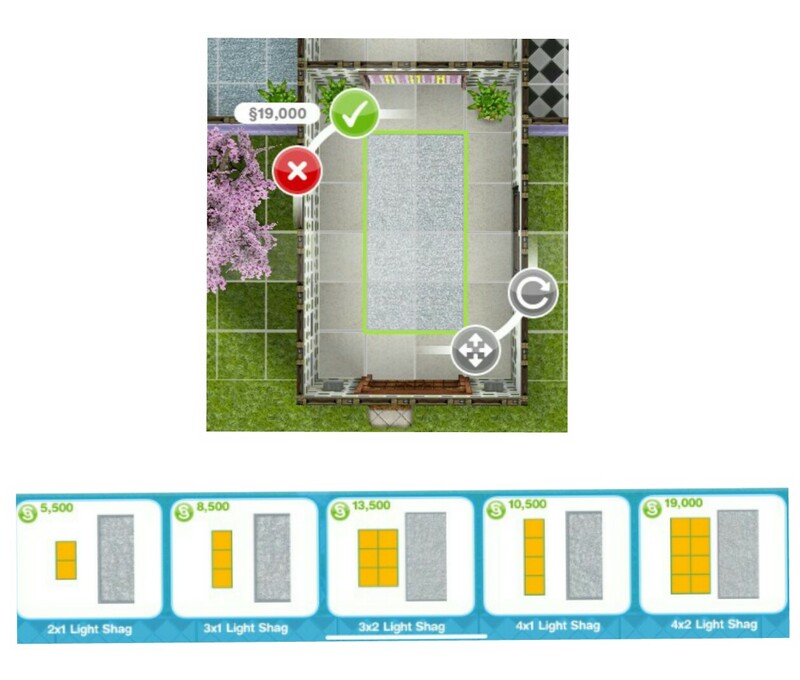 I’ve been fishing for days and cannot get the second one in the first row, with three sims fishing 10 minutes at a time. I had the same problem with the third fish in that row, I spent two days doing the 10 minute option over and over, in the end I had to use the lucky spin on that row, there must be a glitch on this event! Worst event so far, i think i have spend almost 100~150 lps to get all the rugs in time, made all i can to end this event in time so he never gonna show up again, everytime i got like 14 fishs in colection i needed to pay for the lucky spin to get the others. I don’t understand why firemonkeys thought it’s gonna be cool to bring back the annoying baby event and this together. Now that i have ended this event i know that the worst hobby by far is fishing. Hope that the survivalist hobby don’t get these problems of repeating the same thing over and over again when the event comes.